I need your help because I have no idea what you want. I am at such a stand still with my comics and I don't know where to go from here. I love posting here and getting the feedback from your lovely faces, but I need ideas!!!!!!!! I know that asking for ideas for something is stupid, but I want to make things you will like and things that will make someone's day. Caring about what you think is what I live for. I'm kinda kidding, but I don't want to give you things you hate or don't find funny, or at the very least alright. Honesty, this site is the only reason I still do what I do. Because the rest of the internet are mean and don't understand my "humor", I care what you think and I want you to be happy. Here is a picture I did about 2 years ago. 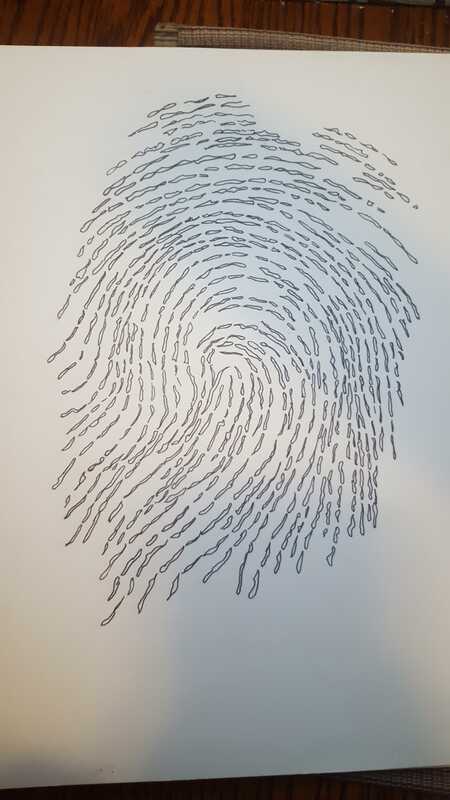 It's my thumb print. I like art inspired by the Grateful Dead.